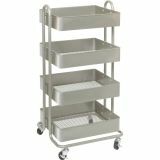 Lorell Storage Basket Cart - Storage basket cart features four, adjustable baskets with mesh bottoms to organize and store a variety of items wherever you need them. 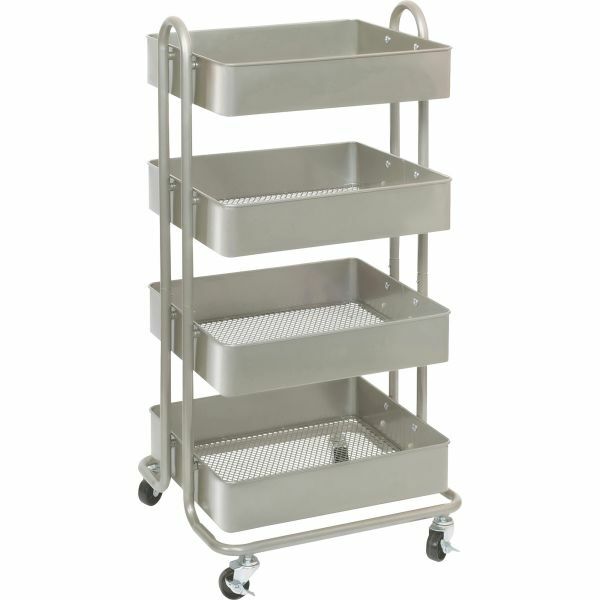 Two of the four smooth-rolling casters lock so you can secure the cart by your desk or file cabinet with no concern of it rolling away. Powder-coated frame resists scratches to endure through daily use while maintaining its sleek, attractive appearance. 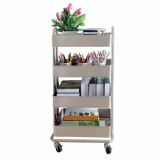 Storage basket cart is perfect for storing books, office supplies, reference materials, plants and more.